Minister of Tourism, the Honourable Alexandra Otway-Noel, together with the Grenada Tourism Authority (GTA), said farewell to the latest group of Sandals MegaFam agents yesterday, 17 September, at the Maurice Bishop International Airport. 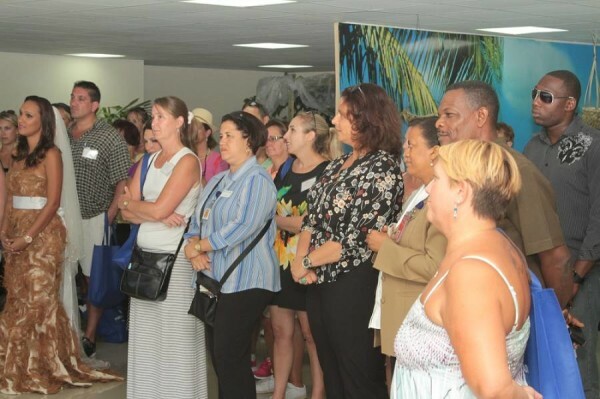 One hundred and forty five travel agents and Sandals business development managers visited Grenada for the day to sample the luxuries of Sandals LaSource Grenada. 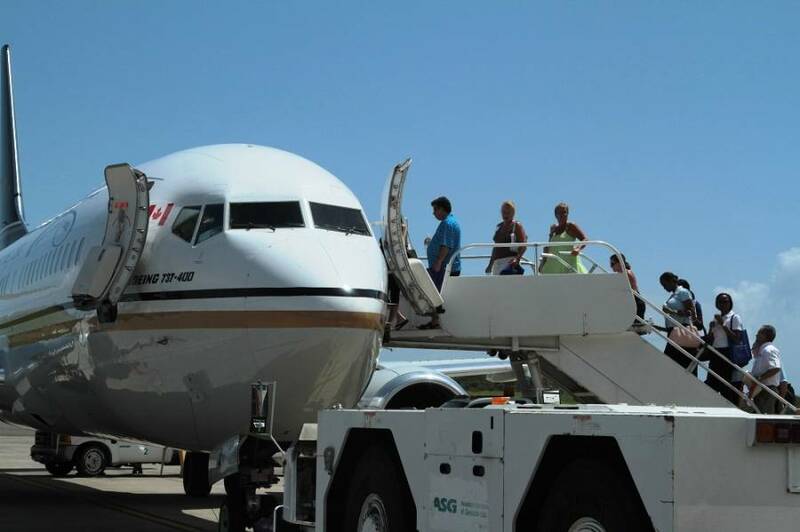 The minister said that negotiations are ongoing to increase airlift to Grenada and expand the tourism potential of the tri-island state. The departure lounge on the first floor of the Maurice Bishop International Airport was transformed into a live gallery reflecting elements of Grenadian tourism. This included a nautical scene that featured the world’s first underwater sculpture park.